The division had a short and unlucky history; formed in December 1939, it was not until the following month that it received any troops to command, when the 1st Light Armoured Brigade and the 22nd Heavy Armoured Brigade were assigned. The 2nd Support Group was formed in February, but had no troops until March. The 1st Armoured Division had priority for equipment and the 2nd Armoured Division had to take the left-overs; the 1st Armoured Brigade, with about 150 Light Tank Mk VI, was the most combat-ready part of the division for most of 1940. The 22nd Armoured Brigade had to make do with lorries and a few light tanks. As the threat of invasion receded after the Battle of Britain, the division was reorganised and reinforced for service in the Middle East. It exchanged the 22nd Armoured Brigade for the experienced 3rd Armoured Brigade of the 1st Armoured Division and then the brigades exchanged regiments so that each had a mixture of cruisers and light tanks. The Armoured Brigade headquarters and the division headquarters each had three light tanks Mk VI and seven cruiser tanks (mainly A 10s). In October 1940, the division sailed for the Middle East, arriving in the new year. Two months later, the Hussars converted to a three-battery anti-tank regiment, with one LAA battery re-equipping with 2-pounder anti-tank guns and 'A' Battery, transferring to the 25th LAA Regiment. Following the conversion, the regiment was unofficially considered to be a Royal Horse Artillery unit. In early 1941, the division was sent to the Western Desert to reinforce troops under General Archibald Wavell, who was on the verge of defeating the Italian 10th Army at the Battle of Beda Fomm, the culmination of Operation Compass. Unaware that Germany had sent reinforcements to support the Italians in Cyrenaica, Wavell was ordered by the War Cabinet to send half his troops and the best equipment to Greece, including the 1st Armoured Brigade Group (Brigadier H. V. S. Charrington). In April 1941, the 102nd Anti-Tank Regiment, RA (Northumberland Hussars) and other elements from the 2nd Support Group joined the brigade for Operation Lustre, the move to Greece. The regiment had a strength of 578 men, 168 vehicles and 48 2-pounders. The 102nd Anti-Tank Regiment, RA was deployed to hold the Metamorphos Pass in conjunction with the Greek Horse Artillery. On 22 April, the defenders were subjected to dive bombing and tank attacks. Together with New Zealand infantry, the 'Hussars' acted as a rearguard. After a twelve-hour battle and a 160-mile (260 km) march through the night, the 102nd Anti-tank Regiment reached Athens on 25 April. The next day, the regiment headed to the nearby Rafina Beach, where it destroyed its guns and equipment; most of the unit was taken aboard HMS Havock on 27 April and landed at Suda on the island of Crete and some elements were evacuated to Alexandria. Wavell, Commander-in-Chief (C-in-C) Middle East and GHQ in Egypt, expected that the Germans could not be ready until May 1941, by when the 2nd Armoured Division tanks would have been overhauled and two more divisions and support troops, particularly artillery, would be ready along with the 9th Australian Division. The 2nd Armoured Division had a reconnaissance regiment and the 3rd Armoured Brigade, which had an understrength light tank regiment and one equipped with captured Fiat M13/40 tanks. The cruiser regiment arrived in late March, after many break downs en route, which brought the division up to an understrength armoured brigade. Most of the British tanks were worn out and the Italian tanks were slow and unreliable. The Support Group had only a motor battalion, a 25-pounder field regiment, an anti-tank battery and a machine-gun company; the division was short of transport and its workshops were understaffed and lacked spare parts. Lack of transport made it impossible to supply a garrison west of El Agheila, which was the most favourable position for a defensive line and restricted the 2nd Armoured Division to moving between supply dumps, which reduced its limited mobility further. In February, Lieutenant-General Philip Neame took over Cyrcom and predicted that many of the tanks would break down as soon as they moved. (Neame also discovered that he had to rely on the local telephone system staffed by Italian operators.) Neame wanted a proper armoured division, two infantry divisions and adequate air support to hold the area but was told by Wavell that there was little to be sent and nothing before April. In early March, the 9th Australian Division began to relieve the 6th Australian Division at Mersa Brega for Operation Lustre, which demonstrated the difficulty of tactical moves with insufficient transport. On 20 March, the Australians were withdrawn north of Benghazi to Tocra, near Er Regima for ease of supply and the 2nd Armoured Division took over. 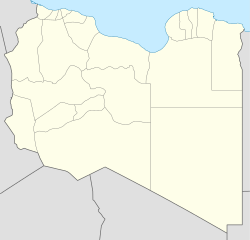 There were no easily defended positions between El Agheila and Benghazi, the terrain being open and Neame was ordered to conserve the tank units as far as possible, yet inflict losses on the Axis forces if they attacked, to fight a delaying action as far as Benghazi if pressed and abandon the port if necessary. There was no prospect of reinforcement before May so the high ground of the escarpment nearby and the defiles to the north near Er Regima and Barce in the Jebel Akhdar (Jebel) were to be held for as long as possible. The 2nd Armoured Division would move inland south of the Jebel to Antelat and operate against the flank and rear of the Axis forces as they moved up the Via Balbia or cut across the desert towards Mechili and Tobruk. The tanks would have to use depots at Msus, Tecnis, Martuba, Mechili, Tmimi, El Magrun and Benghazi as a substitute for lorry-borne supply. The 3rd Indian Motor Brigade (Brigadier E. W. D. Vaughan) arrived at Martuba in late March, with no tanks, artillery, anti-tank guns and only half its wireless sets and was held ready to move towards Derna, Barce or Mechili if the Axis attacked. On 24 March, Rommel advanced with the new Deutsches Afrikakorps towards the positions of the 3rd Armoured Brigade, south-east of Mersa Brega, where the 2nd Support Group held an 8-mile (13 km) front. The Australians were 150 miles (240 km) to the north, minus a brigade left at Tobruk, deficient in much equipment and out of contact with the 2nd Armoured Division. British air reconnaissance had observed German troops west of El Agheila on 25 February but the mileage restrictions necessary to maintain the few troops and vehicles near the front and the danger from fast German Schwerer Panzerspähwagen (eight-wheeler armoured cars), inhibited British reconnaissance units, whose armoured cars were slower and had inferior armament. On 1 April, Rommel sent two columns to capture Mersa Brega and the British withdrew, followed up by the Germans as the Ariete Division and the Brescia Division advanced from Tripoli. Air reconnaissance on 3 April, revealed that the British were still retiring and Rommel ordered a probe around the southern flank by an Italian detachment. Several German platoons were sent under Lieutenant-Colonel Gerhard von Schwerin towards Maaten el Grara, from where they were to observe the ground towards Msus, south-east of Benghazi and Ben Gania further south. Reconnaissance Unit 3 was ordered to reconnoitre towards Soluch and Ghemines; during the evening Rommel ordered them on to Benghazi. On 3 April, Gambier-Parry had received a report that a large enemy armoured force was advancing on Msus (now Zawiyat Masus in the Fati Municipality), site of the main divisional supply dump. The 3rd Armoured Brigade (Brigadier R. G. W. Rimington) moved there and found that the petrol had been destroyed to prevent capture. The tank brigade had already been reduced by losses and breakdowns to 12 cruiser tanks, 20 light tanks and 20 Italian tanks. Neame received conflicting reports and ordered elements of the 2nd Armoured Division to guard the desert flank and retire on Mechili. Neame then countermanded the orders and on 6 April, British air reconnaissance reported that there were Axis columns in the desert and the 3rd Indian Motor Brigade repulsed an attack at Mechili, which led to O'Connor at the Cyrcom headquarters (Neame had left to visit Gambier-Parry), to order a general withdrawal. The headquarters of the 2nd Armoured Division and the 2nd Support Group were ordered back to Mechili, followed by the 3rd Armoured Brigade. Rimington decided that the armoured brigade lacked the fuel to reach Mechili and ordered a move to Maraura, where a small amount of petrol was found. Rimington planned to move to Derna via Giovanni Berta, to obtain more fuel and was captured with his deputy when he motored ahead. The brigade continued on and crowded the Australians, who were by-passing Derna, as they withdrew to Gazala. Kirchheim sent the non-mechanised parts of the Pavia Division (Major-General Pietro Zaglio) and the Brescia Division along the Via Balbia and the mechanised and motorised units through the Jebel Akhdar. On 6 April, the Ariete Division reached Mechili and at midday, Ponath re-assembled his group near Derna airfield and cut one of the British withdrawal routes. The 5th Royal Tank Regiment (5th RTR, Lieutenant-Colonel H. D. Drew), repulsed two determined attacks and then counter-attacked with the last four British tanks. The rest of the British in the area disengaged before the tanks were knocked out and the road was left open for stragglers in Derna to escape. By nightfall on 7 April, the 9th Australian Division (less the 24th Australian Infantry Brigade) with the 2nd Support Group had blocked the Via Balbia at Acroma, about 15 mi (24 km) west of Tobruk, where the 18th and 24th Australian Infantry brigades were digging in. A small force held El Adem, south of Tobruk to observe the approaches from the south and south-west and at Mechili, Gambier-Parry had the 2nd Armoured Division headquarters, soft-skinned vehicles and a cruiser tank, most of the 3rd Indian Motor Brigade, M Battery 1st Royal Horse Artillery, part of the 3rd Australian Anti-tank Regiment and elements of other units. ...designed to allow the commander maximum flexibility and take precise account of the operational or tactical task to be achieved. The division continued the reorganization into 1977, as additional armour and infantry units brought the formation up to strength. When the process was complete, the division contained the following major units that could be assigned to either Task Force Charlie or Task Force Delta, the 1st Duke of Edinburgh's Royal Regiment, 1st King's Regiment, 2nd Grenadier Guards, 4th Royal Tank Regiment, 5th Royal Inniskilling Dragoon Guards and the 17th/21st Lancers. The division totalled 8,500 men during peacetime but in the event of war was expected to reach a strength of 14,000 as reservists arrived. 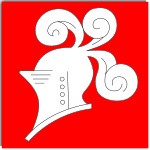 The headquarters was in the Tax House in Lübbecke with the Signals Regiment at the nearby Birdwood Barracks in Bünde. As part of I (BR) Corps, the division was to conduct a holding battle against the numerically superior Red Army. The Task Force concept lasted until the end of the decade; Stone commented that it had "not prove[d] entirely satisfactory". In turn, brigades were recreated and the division reorganized. The division now comprised the 4th and the 12th Armoured brigades. The former was composed of the 2nd Grenadier Guards, 4th Royal Tank Regiment and the 5th Royal Inniskilling Dragoon Guards. During August 1981, the 2nd Grenadier Guards were replaced by the 1st Irish Guards and in July 1982 the Queen's Royal Irish Hussars replaced the 4th Royal Tank Regiment. The 12th Armoured Brigade comprised the 1st Duke of Edinburgh's Royal Regiment, 1st King's Regiment and the 17th/21st Lancers. In January 1982, the brigade was reinforced with the 1st King's Own Scottish Borderers. During 1982, the Government made the decision to further reorganize the BAOR and the 2nd Armoured Division was to revert to the 2nd Infantry Division and return to the United Kingdom. Based at Imphal Barracks in York, the division would command reinforcements for the BAOR. By December 1982, the division had ceased to exist and was renamed the 2nd Infantry Division. ^ These two figures are the war establishment, the paper strength of the division for 1940; for information on how the structure of armoured divisions changed over the war please see British Army during the Second World War and British Armoured formations of World War II. ^ The 2nd Armoured Division also had an RAMC Brigade but war time records identifying the unit number are unavailable. ^ Invalided out of the Army following accident in April 1940. ^ Joslen 2003, pp. 129. ^ a b Stanhope 1979, p. 115. ^ Watson & Rinaldi 2005, p. 74. ^ a b c d e f g h i Joslen 2003, p. 16. ^ a b Joslen 2003, pp. 16, 216. ^ a b Hughes 1999, p. 35. ^ Joslen 2003, p. 16, 151, 168–169. ^ "The Northumberland Hussars at regiments.org by T. F. Mills". Archived from the original on 19 December 2007. Retrieved 19 December 2007. ^ Playfair 1954, pp. 355–362. ^ Playfair 2004, p. 105. ^ "Brief History: 1939–1946". Northumberland Hussars Association QOY web site. Archived from the original on 15 December 2014. Retrieved 15 December 2014. ^ Playfair 2004, pp. 2–4. ^ a b Cochran 1991. ^ a b c Stone 1998, p. 224. ^ Simon 1988, p. 332. ^ a b Kneen & Sutton 1996, p. 183. ^ Watson & Rinaldi 2005, pp. 74–75, 95. ^ "Tax House". BAOR Locations. Retrieved 27 October 2015. ^ "Birdwood Barracks". BAOR Locations. Retrieved 27 October 2015. ^ Clayton 2013, p. 245. ^ Watson & Rinaldi 2005, pp. 76, 95. ^ Watson & Rinaldi 2005, p. 95. ^ Joslen 2003, pp. 16 and 144. ^ Joslen 2003, pp. 16 and 168. ^ a b Joslen 2003, pp. 16 and 151. ^ Joslen 2003, pp. 16 and 216. ^ Mackenzie 1951, p. 71. ^ Watson & Rinaldi 2005, pp. 74-75, 95. ^ Watson & Rinaldi 2005, pp. 76 and 95. Clayton, Anthony (2013) . The British Officer: Leading the Army from 1660 to the Present. London: Routledge. ISBN 978-1-405-85901-1. Cochran, Russell (1991). The Lost Years. no ISBN. unpublished autobiography. Hughes, David; et al. (1999). British Armoured and Cavalry Divisions. The British Armies in World War Two: An Organizational History. I. West Chester, OH: George F. Nafziger. ISBN 978-1-58545-050-3. Kneen, Brigadier J. M.; Sutton, Brigadier D. J. (1996). Craftsmen of the Army: The Story of the Royal Electrical and Mechanical Engineers 1969–1992. II. London: Leo Cooper. ISBN 978-0-850-52549-6. Latimer, Jon (2001). Tobruk 1941; Rommel's Opening Move. Osprey Military Campaign. Oxford: Osprey. ISBN 978-1-84176-092-6. Playfair, Major-General I. S. O.; et al. (1954). Butler, J. R. M., ed. The Mediterranean and Middle East: The Early Successes Against Italy (to May 1941). History of the Second World War, United Kingdom Military Series. I. HMSO. ISBN 978-1-84574-065-8. Simon, Jeffrey (1988). NATO-Warsaw Pact Force Mobilization. Washington, DC: National Defense University Press. OCLC 18522267. Stone, David (1998). Cold War Warriors: The Story of the Duke of Edinburgh's Royal Regiment (Berkshire and Wiltshire). London: Leo Cooper. ISBN 978-0-850-52618-9. Stanhope, Henry (1979). The Soldiers: An Anatomy of the British Army. London: Hamilton. ISBN 978-0-241-10273-2. Watson, Graham; Rinaldi, Richard A. (2005). The British Army in Germany: An Organizational History 1947–2004. Takoma Park, MD: Tiger Lily Publications for Orbat.com. ISBN 978-0-972-02969-8. "Artillery Regiments That Served With The 7th Armoured Division". The History of the British 7th Armoured Division. Retrieved 2 May 2014. Jentz, Thomas L. (1998). Tank Combat in North Africa: The Opening Rounds, Operations Sonnenblume, Brevity, Skorpion and Battleaxe, February 1941 – June 1941. Atglen, PA: Schiffer. ISBN 0-7643-0226-4. Shales, J. (2015). A Detailed Fighting Account of the 2nd Armoured Division, 9th Australian Division, 3rd Indian Motor Brigade, 7th Support Group and 22nd Guards Brigade in Combat with the Afrikakorps and Units of the Ariete, Brescia, Bologna, Pavia and Trento Divisions: February – May 1941. Infantry, Artillery and Tank Combat in Libya and Egypt. I. Rainham, Kent: Armour. ISBN 0-9931732-0-9. "2nd Armoured Division". Orders of Battle.com.